Is there a way to edit sent and received messages in SeaMonkey? Similar to the way Outlook sent and received emails can be edited. 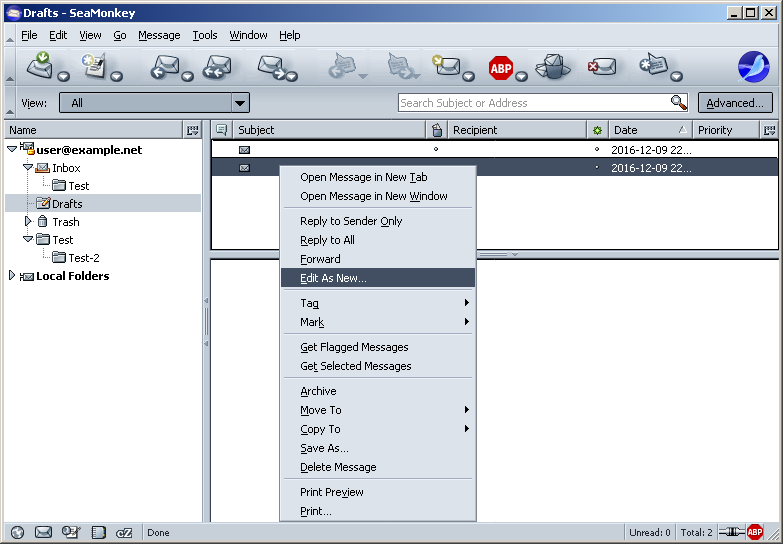 . .
skbryan wrote: Is there a way to edit sent and received messages in SeaMonkey? ... or just hit Ctrl+E (small "e") on your keyboard. TPR75, unless I'm mistaken, that's not what the OP was asking for.